Hail Canada! Lucky recipients of the complete RD series of bikes, our neighbor to the North has occassionally let one or two slip through the borders, providing US riders with grey market 2-smoke candy. 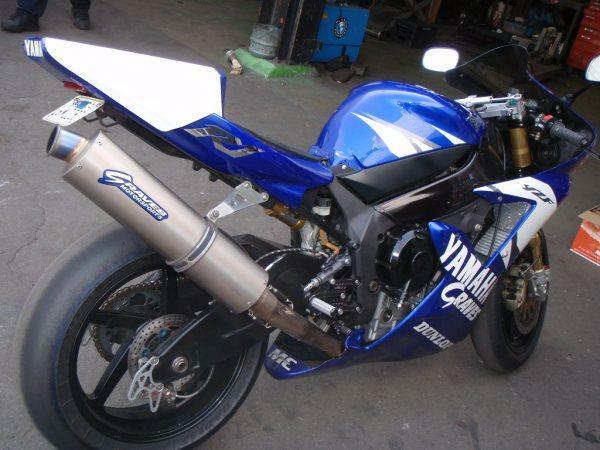 This is one such bike. And while the condition is a bit more rough than many of the bikes you are accustomed to seeing here on RSBFS, it is no less special. 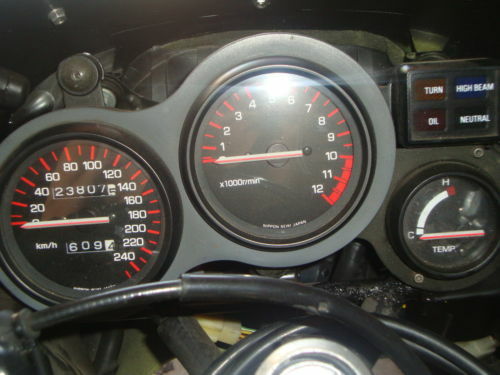 With the speedo calibrated in the devil's own metric system, this is clearly an import. 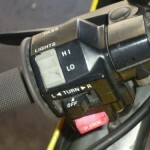 The kilometer to miles conversion puts this bike under the 15,000 mile mark, which is not bad considering the age. And while a lot of collectors look for extremely low mile bikes, the truth is that a bike that has been ridden regularly makes for a better purchase for those who want to ride. Nothing wears out seals and gaskets like a garage queen. 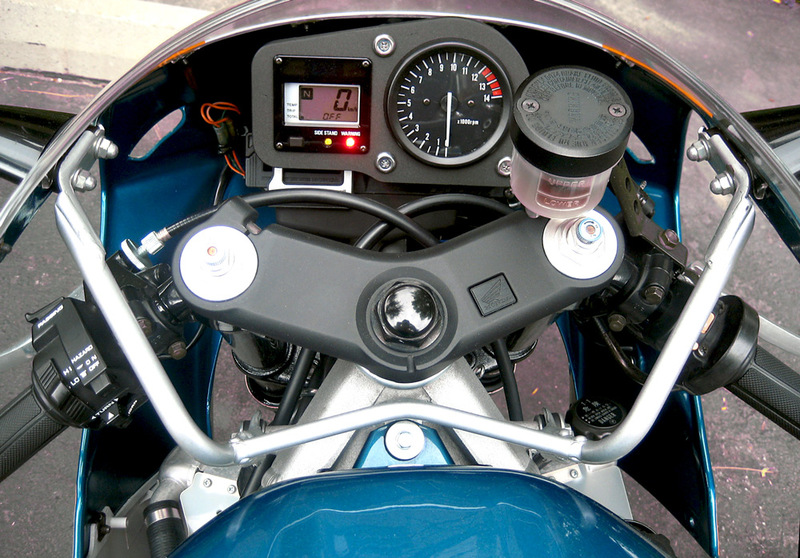 Like people, motorcycles do well with a little excercise. The RD500LC was best known as the RZ500 to enthusiasts Stateside. 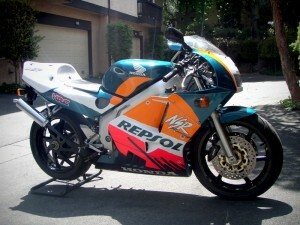 While the Candian nomenclature followed in the RD footsteps (adding an LC for "Liquid Cooled"), the US re-introduction to the two stroke was via the RZ moniker. 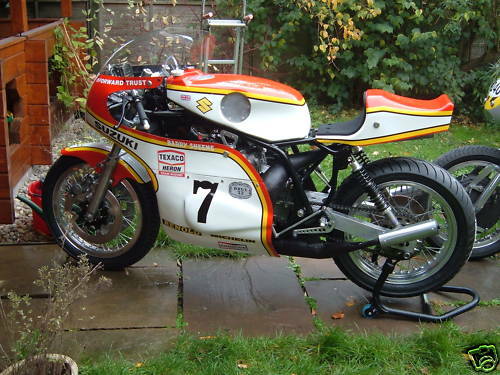 Thus, this RD500 can be thought of as an early RZ500. 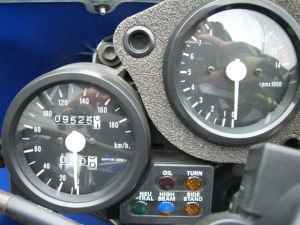 Yamaha eventually dropped the RD in favor of RZ across the board in 1985, but that change took time. 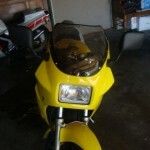 You are bidding on my 84 yamaha RD 500 LC the european version of the rz 500. 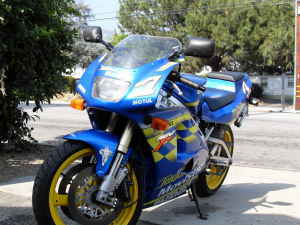 This bike is an great condition and has alot of upgrades done to it. The bike has a clean California title and I have pink slip in hand. 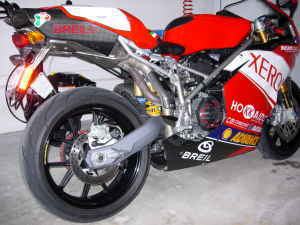 The overall conditon of the bike is as desribed, It has the original stock fairings, the brake pads have alot of life in them. Rotors are in great shape, Tires are in exellent shape, The jetting has been properly done for the Jolly Motto GP pipes, the bike has k&n filters which have been attached to the air boxes, It has fuel filters which run from the tank to the carbs, The engine has about 30hrs on a rebuilt top end.I have been using the motul 710 injector lube for the oil pump which works fantastic. ypvs is operational. Transmisson and clutch runs superb. The only issues this bike has is a small dent on the top of tank,needs the front turn signals, the RD sticker kit and a paint job. 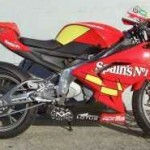 I will also be including the orignial stock pipes and extra gas tank with purchase. 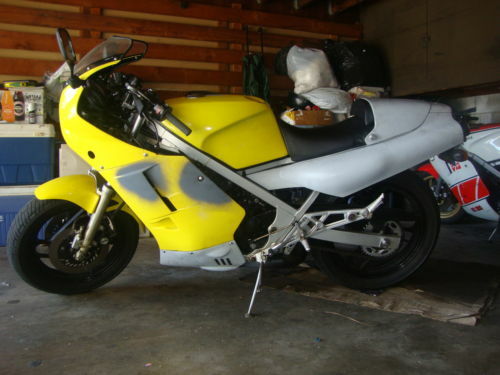 Let's quickly review what the seller has to say about this bike. The key words - for those of you working on your book report - are CA title, Jolly Moto pipes, K&N filters, and rebuilt top end. Of all of those, the CA title is the key. Even if you do not live in the sunny Republik of CA (which, by the way, has amazing roads and many, many warm sunny days to ride), that title will save you a great deal of pain when registering the bike in your own state. 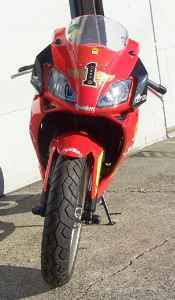 Largely regarded as the most difficult state in which to title an imported bike, that sticker on the plate is gold for CA residents. 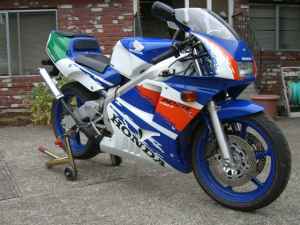 This bike is not quite perfect, but if you look at the pics you will see a complete bike plus another RZ in the background. 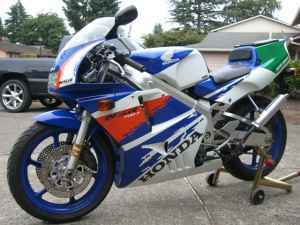 This would lead me to believe that the seller knows a little bit about these bikes - which is always a good thing when an import is concerned. 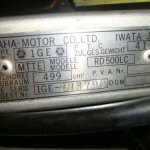 The buyer will also receive some additional stock parts as part of the deal. This auction is going on right now. With only a handful of bidders present, the current price is $6,500 - with NO reserve! 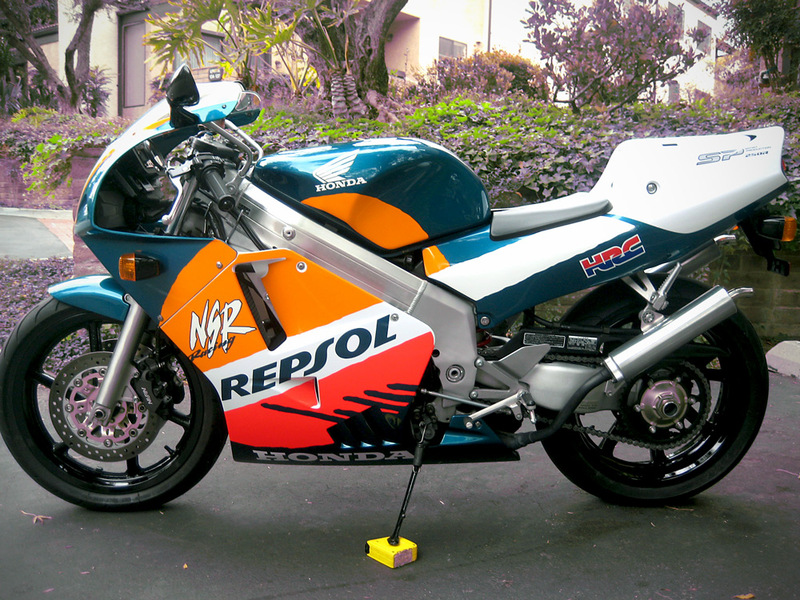 For your chance to own a two-stroke legend - or if you just want to check out the details and pictures - click the link and jump over to the auction. Good luck!! Reader Submissions of the Week Past Two Weeks! I'm going to have to figure out a new system for reader submissions with so many great finds hitting my inbox! I've started this posts twice already and haven't been able to finish it! First my apologies to those who sent auction items that have since passed. We really appreciate your submissions and always try hard to get them listed, but the entire RSBFS team has been swamped with real world job duties. 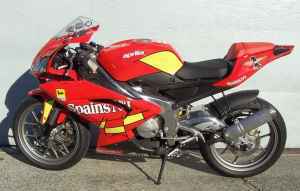 But enough of that, on to the bikes that are still available that have been sent in by readers.
. 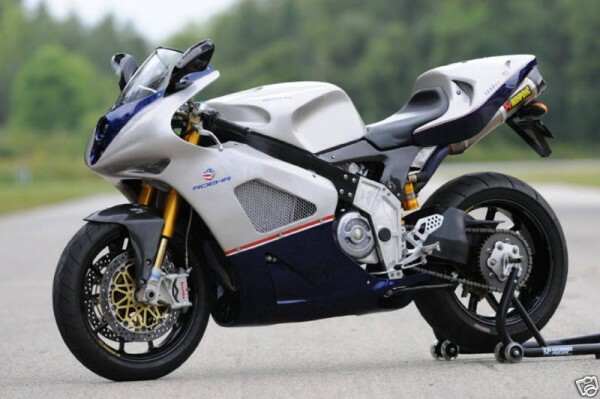 It has a supercharged Harley V-Rod engine! 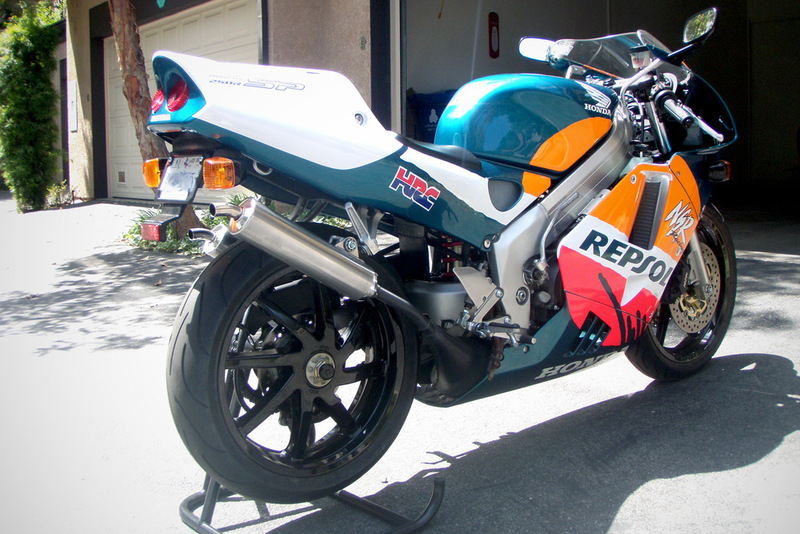 Finally, Mike L. forwarded this beaut on: It's Aaron Gobert's Formula Extreme Championship bike from 2002-2003 fitted with an R1 motor and CA title! Many, many thanks to the readers who have picked up the slack while we've been away! I've got a couple more posts to crank out that I hope to have up soon: RS250, another great collection becomes available for sale, and the RSBFS Holiday store opens Wednesday night. Stay tuned! Sounds like this one has some tuning issues, but notes that it does have a registration. 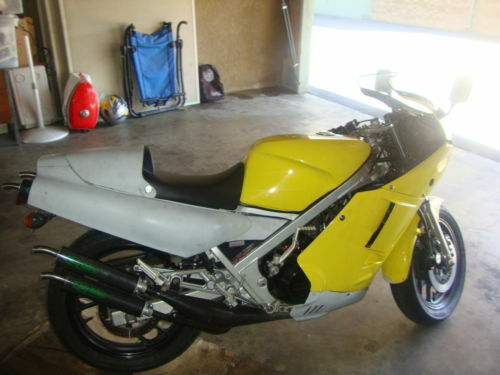 For $3k sounds like a great track bike or a potential street project. 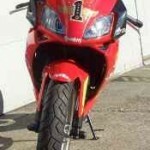 For Sale 1994 Suzuki RGV 250 Recently registered, imported from England in 2003. Bike has been in covered storage since 2003. Needs carb work, but runs, new tires front and rear in 2002. 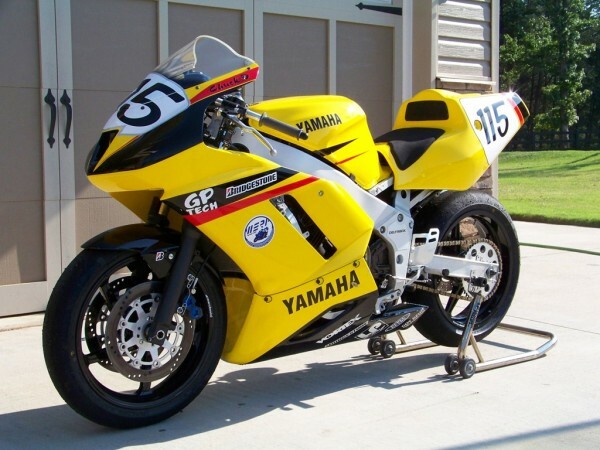 This is a 2 stroke twin cylinder, custom paint in Kenny Roberts Jr. Telefonica replica paint scheme. 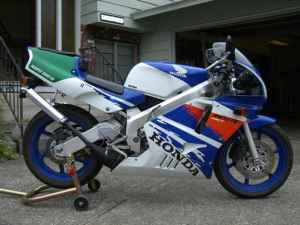 This MC21 NSR250 just popped up on Portland Craigslist for $3900 with less than 10k miles! 9525 miles. Clean title, never down. All original. 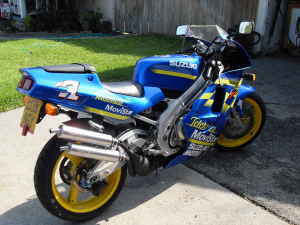 A very rare bike in the US. Adult owned and well cared for. Always stored in a dry climate controlled garage. This bike is MINT. Early fall bargains are arriving already apparently! 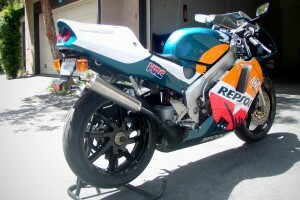 Gary's 1996 Honda NSR250SP is our first ever featured listing. 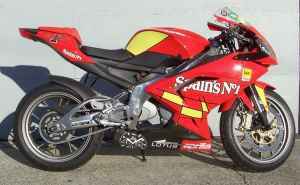 I'm especially proud to feature this particular bike as it is one of our favorite models on Rare Sport Bikes For Sale. And it is very special indeed with very low miles and no stories. 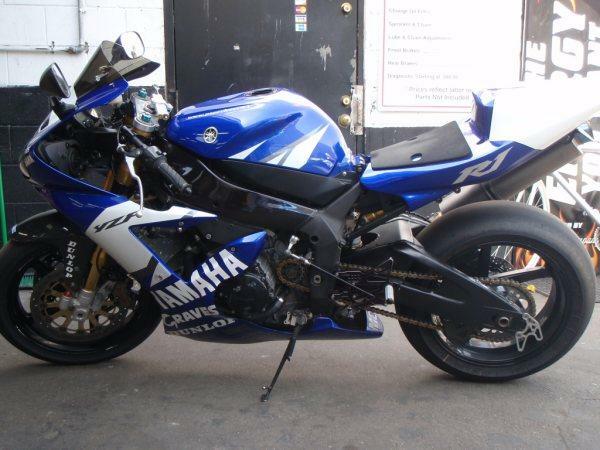 This bike is in excellent condition. I don't ride it, it's just for show. 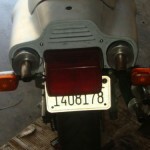 Comes with a current Texas registration title 03/2010 and bike is located in Los Angeles. Had the very first tire change in April of 2007 and only has 600 miles on them. 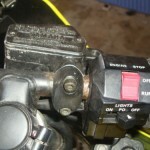 Also has the original chain & sprocket, and no top end rebuilds. 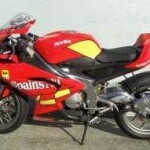 When people see this bike it looks brand new. It was the 2008 Woodley Park 2 stroke extravaganza winner for best Honda. 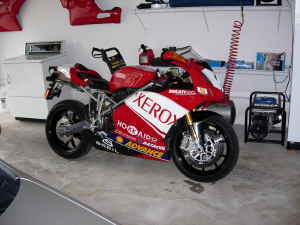 I'm asking $12,000 OBO comes with factory Honda stand, extra keys, and brand new (never programmed) HRC 030 Card. 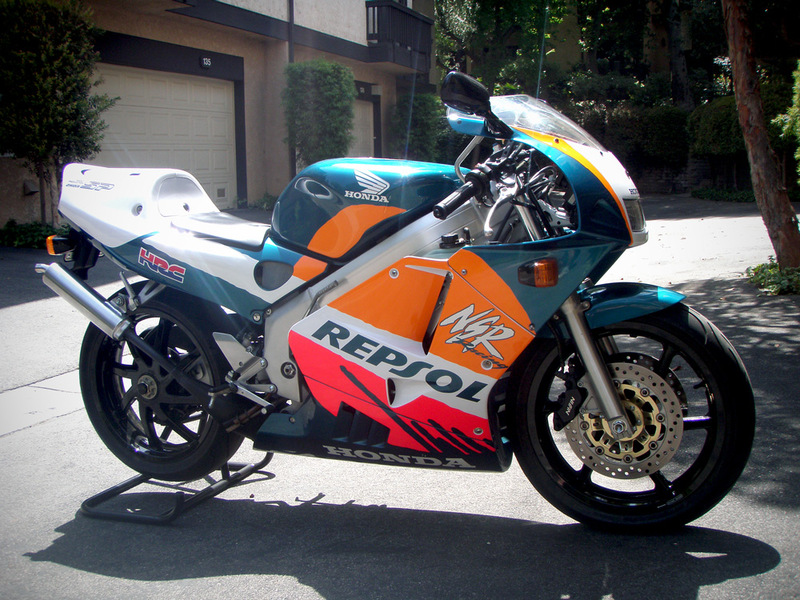 Surely one of the finest NSR250's ever listed on this blog and a rare opportunity anywhere to pick up a very important and collectible motorcycle. Good luck with your sale Gary!